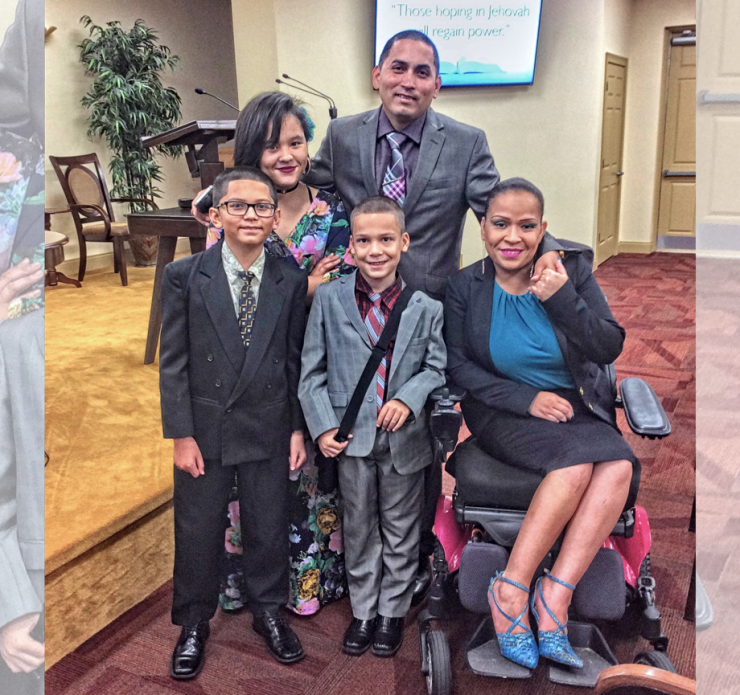 This is Dione and her husband Shane, and their three kids Janelly, Jasiah, and Jayden. When they’re not taking family photos that may or may not come back to haunt Jayden one day, they’re fielding the many other curveballs life has thrown their way in the past two years. And there have been a lot. It all started in May of 2016. Shane had battled high blood pressure since he was 15, diabetes nearly as long, and his body was showing signs of cardiac distress. He saw his doctor, passed a stress test, and was sent on his way. But just a few weeks later, Shane had a heart attack. “Taking care of him and three kids was hard,” Dione remembers. 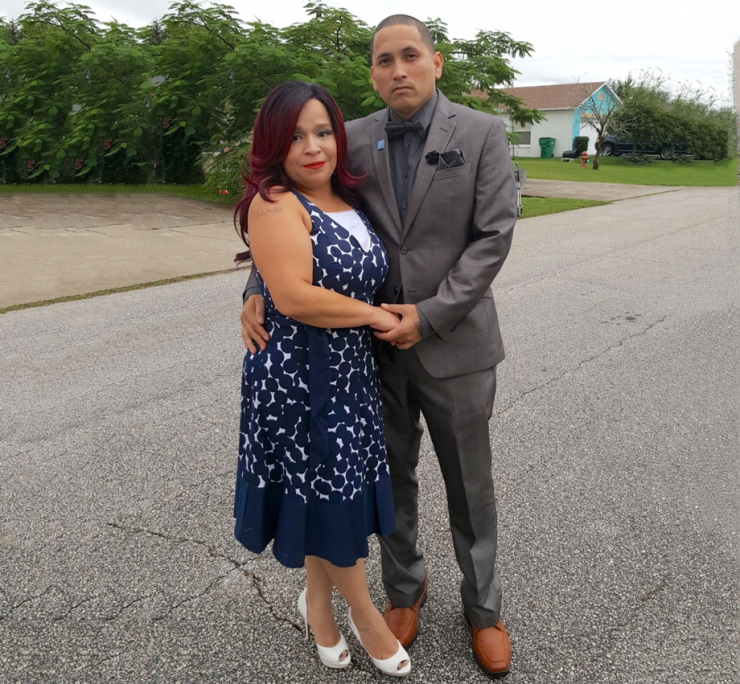 She had worked in restaurant management for years, but without Shane’s income, it wasn’t enough to support their family, so they moved in with friends and set their sights on recovery. 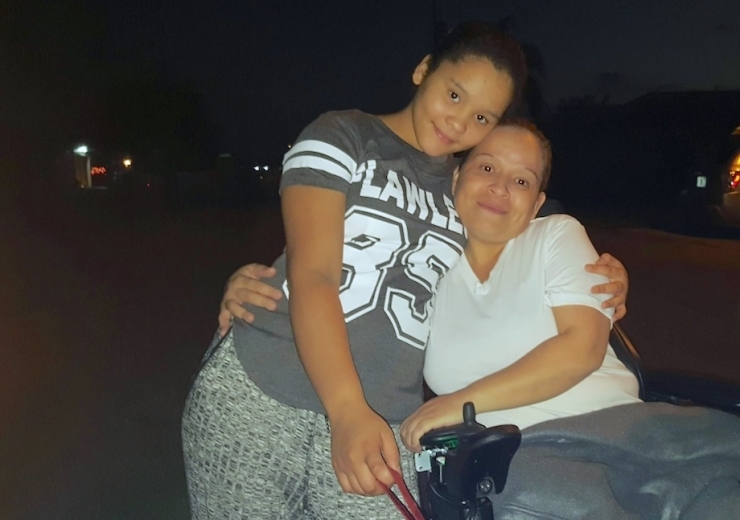 In September, Dione caught a cold she couldn’t shake, which triggered her asthma, and ultimately sent her health into a tailspin. The timing couldn’t have been worse. “I knew it was more than a cold, more than asthma,” she told me. “I couldn’t breathe, my throat was closing up, and the doctors couldn’t figure out why. 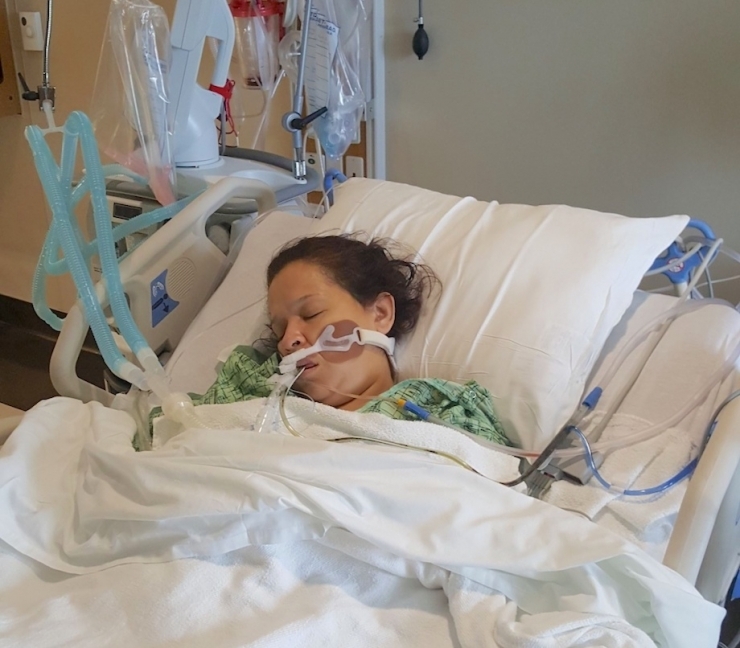 That’s the last I remember.” Dione was intubated and placed in an induced coma for nine days while doctors struggled to find the cause of her symptoms. Test after test produced no real answers, and eventually, the hospital ENT decided to extubate her and see if she could breathe on her own. 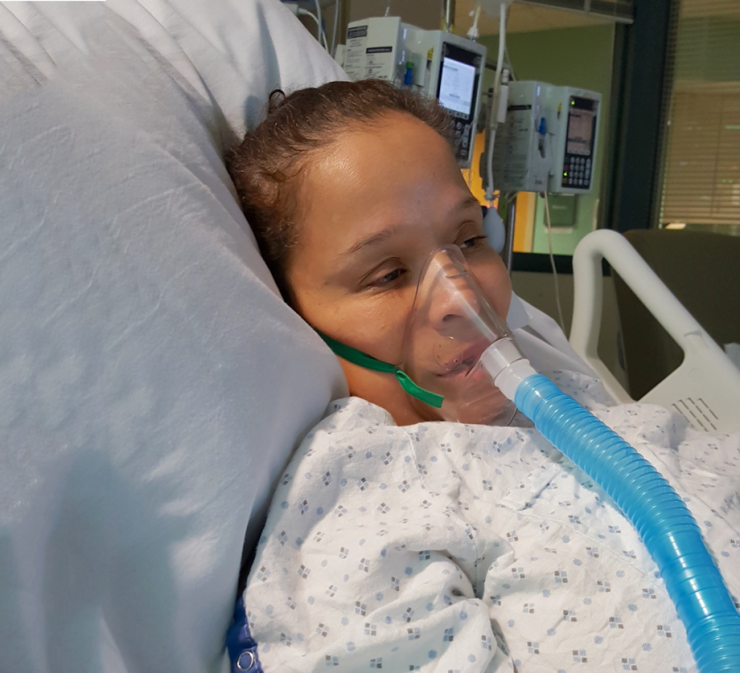 When Dione woke up, she could breathe again, but she couldn’t feel her left side. Doctors suspected she’d had a stroke, but her CAT scan was clear, so after a few more weeks monitoring her condition, they sent her home. Things were very different after that, and Dione began slipping into the darkness of depression. If you’ve ever broken your leg, or sprained your wrist, or had any kind of injury where you need help with basic tasks, you know how frustrating it is to go from independent to dependent in the blink of an eye. 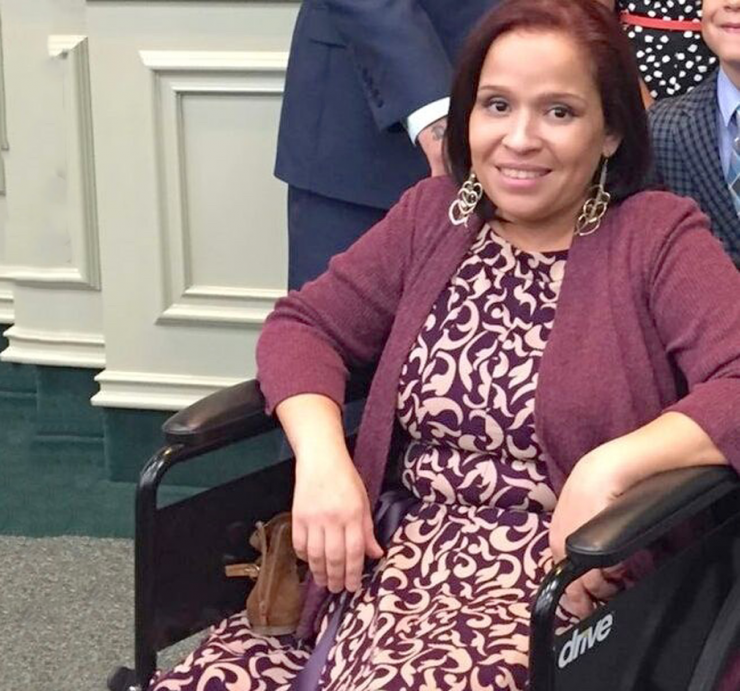 Dione needed help with everything – getting around, getting dressed, even using the bathroom, and to top it all off, she still didn’t know what was wrong. 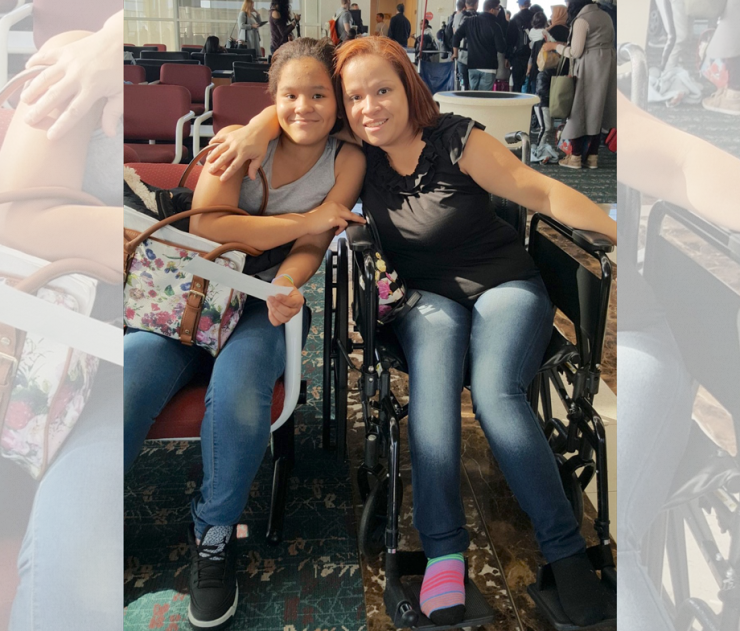 Finally, in October of 2016, her neurologist discovered Dione has lumbosacral plexopathy, a rare nerve disorder that causes pain, numbness, and loss of muscle control. He had never seen a patient with this condition before, nor had any other doctor Dione had seen, and he recommended she see specialists at a research university for treatment. 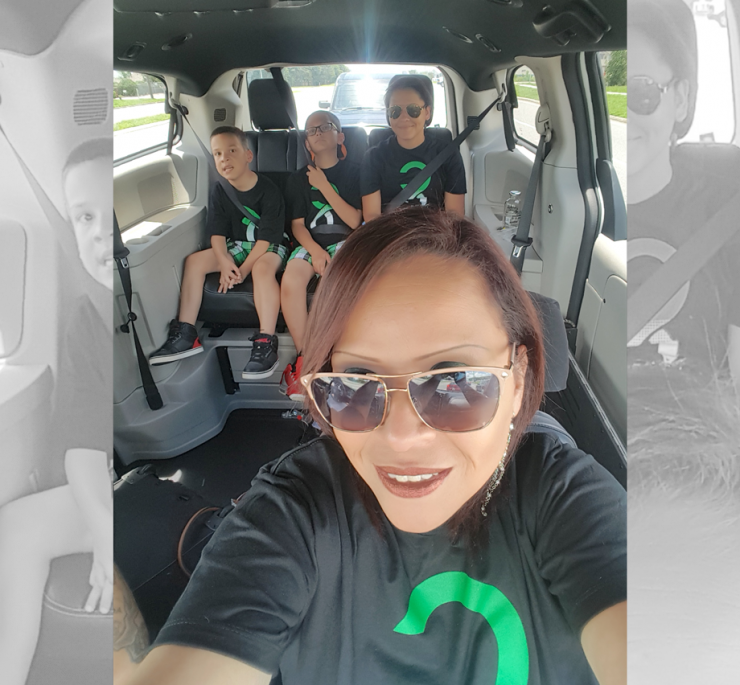 Despite everything going on with her and Shane’s health problems, not to mention the ups and downs of raising three kids, Dione began searching for a program that could help her get better. 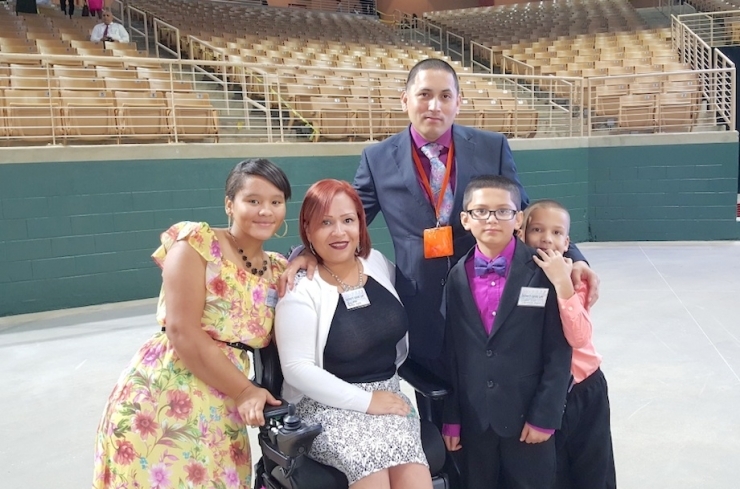 She’s on the waiting list to be seen at the Mayo Clinic in Jacksonville (which is 2 ½ hours away), and until then, she and her family are adjusting to their new normal the best they can. 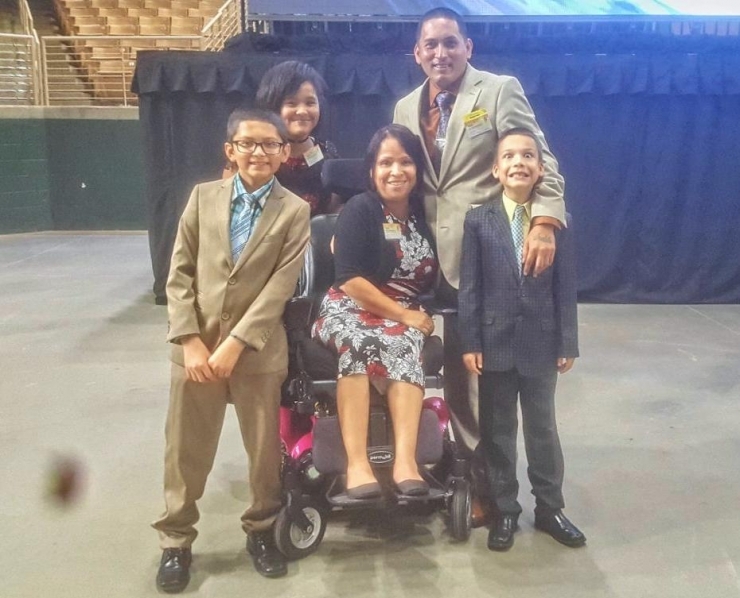 “It’s been really hard for my kids to get used to me being in a wheelchair, and not doing things we did before. We moved here from Pennsylvania and we loved going to the water park nearby. We had been given season passes, we went all the time,” Dione said. 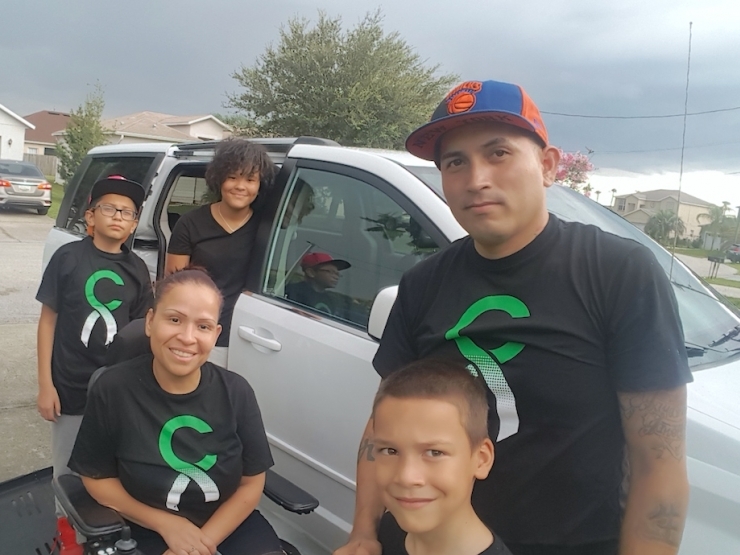 “I’d be happy to still take them, to just watch them have fun from the sideline, but it’s so hard just getting my wheelchair in the trunk – my husband can’t do it with his heart condition, so my boys have to work together to load it up. We keep getting flat tires because it’s so heavy. It’s just so much work getting anywhere,” she sighed. 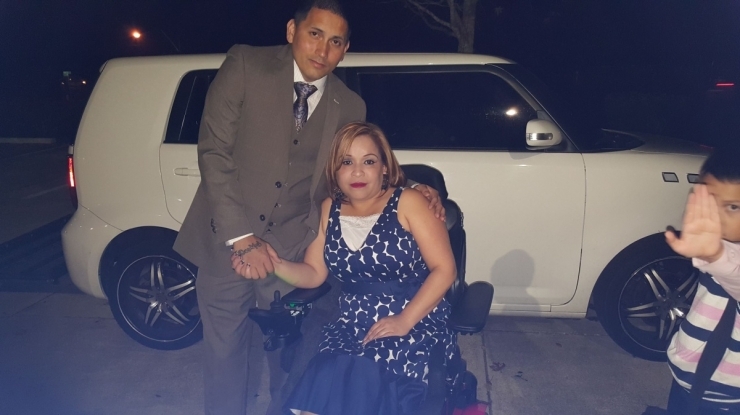 Chive Charities believes mobility is essential to independent, healthy lives, so it was our honor to give Dione and her family a $48,000 grant for a wheelchair-accessible Dodge Caravan. We know it will make receiving medical treatment so much easier, and we hope it restores some of the fun and friendship they enjoyed before. We’re so grateful for our monthly donors who believe in our mission and made this gift possible. Just like family photos that don’t come out quite as expected, you never know what life will bring, but one thing’s for sure: the underdogs will always come out on top by adapting, persevering, and getting support from the best community in the world. Help more underdogs like Dione by becoming a Chive Charities monthly donor right HERE. Big thanks to our friends at BraunAbility for their continued partnership in making the world 10% happier!